Enjoy your auto repair experience with Baldwin's German Autowerks? We would greatly appreciate it if you would refer our automotive repair and maintenance services to your friends and family in Novato, CA! We love to hear how we’ve been able to help the wonderful people in this community! 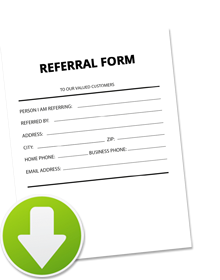 You can use the printer-friendly referral form to easily refer our automotive services. Simply click the form below to download and print the referral form. We appreciate your kind words and opportunity to keep you and your family safe on the road! Always very friendly and great service! Thanks!